If you thought 2014 was thrilling, here’s a look at what I’m most excited about for 2015. Here are 11 of the most exciting new technologies moving from deceptive to disruptive this year. 1. Virtual reality: Expect a lot more action on the virtual and augmented reality front. 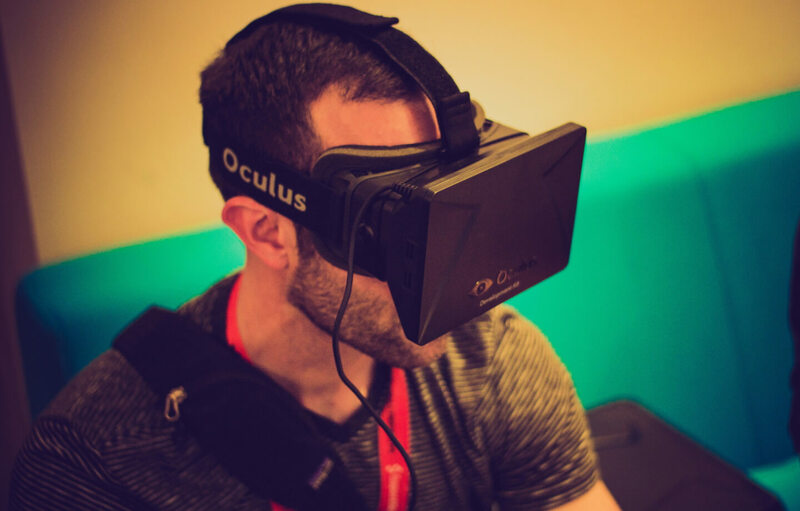 2014 saw the $2B acquisition of Oculus Rift by Facebook. In 2015, we’ll see action from companies like Philip Rosedale’s High Fidelity (the successor to Second Life), immersive 3D 360-degree cameras from companies like Immersive Media (the company behind Google’s Streetview), Jaunt, and Giroptic. 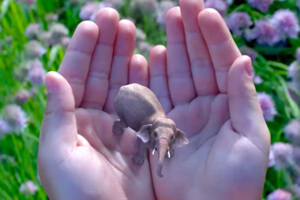 Then there are game changers like Magic Leap (in which Google just led a $542 million investment round) that are developing technology to “generate images indistinguishable from real objects and then being able to place those images seamlessly into the real world.” Oculus, the darling of CES for the past few years, will be showing its latest Crescent Bay prototype and hopefully providing a taste of how its headset will interact with Nimble VR’s hand- and finger-tracking inputs. Nine new VR experiences will be premiering at the Sundance Film Festival this year, spanning from artistic, powerful journalistic experiences like Project Syria to full “flying” simulations where you get to “feel” what it would be like for a human to fly. Fellow Robots autonomous employee, OSHbot. 2. Mass-market robots: Late 2013 saw the acquisition by Google of eight robotics companies. 2015 is going to see the introduction of consumer-friendly robots in a store near you. Companies like SU’s Fellow Robots are creating autonomous “employees” called OSHbots that are roaming the floors of Lowe’s and helping you find and order items in their store. We’ll also see Softbank’s Pepper robot make the leap from Japan to enter U.S. retail stores. 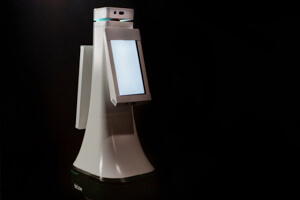 Pepper uses an emotion engine and computer vision, to detect smiles, frowns, and surprise, and it uses speech recognition to sense the tone of voice and to detect certain words indicative of strong feelings, like “love” and “hate.” The engine then computes a numeric score that quantifies the person’s overall emotion as positive or negative to help the store make a sale. At CES, Paris-based start-up Keecker will show off a robot that doubles as a movie projector after raising more than $250,000 for the idea on Kickstarter. 3. Autonomous vehicles: In 2015, we will see incredible developments in autonomous vehicle technology. Beyond Google, many major car brands are working on autonomous solutions. At CES, Volkswagen will bring the number of car brands on display into double figures for the first time this year. Companies like Mercedes say they will show off a new self-driving concept car that allows its passengers to face each other. BMW plans to show how one of its cars can be set to park itself via a smartwatch app. And, Tesla, of course, has already demonstrated “autopilot” on its Model D.
4. Drones everywhere: 2015 will be a big year for drones. They are getting cheaper, easier to use, more automated, and are now finding more useful and lucrative applications. 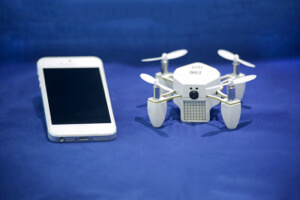 These “drones” include everything from the $20 toys you can buy at RadioShack to the high-powered $1000+ drones from companies like DJI and the super-simple and powerful Q500 Typhoon. These consumer drones equipped with high quality cameras and autopilot software are military-grade surveillance units now finding use in agriculture, construction and energy applications. Drones get their own section of CES in 2015 with a new “unmanned systems” zone. Wales’ Torquing Group could provide one of its highlights with Zano, a Kickstarter-backed quadcopter small enough to fit in your hand but still capable of high-definition video capture. 5. Wireless power: “Remember when we had to use wires to charge our devices? Man, that was so 2014.” Companies like uBeam, Ossia and others are developing solutions to charge your phones, laptops, wearables, etc. wirelessly as you go about your business. And this isn’t a “charging mat” that requires you to set your phone down… imagine having your phone in your pocket, purse, or backpack, and it will be charging as you walk around the room. Companies are taking different approaches as they develop this technology (uBeam uses ultrasound to transfer energy to piezoelectric receivers, while Ossia has a product called Cota that uses an ISM radio band, similar to WiFi, to transfer energy and data). Look out for a key “interface moment” in 2015 that will take wireless power mainstream. 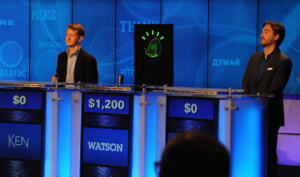 IBM’s Watson, seen here defeating two Jeopardy champs, is now available to businesses and developers. 6. Data and machine learning: 2014 saw data and algorithm driven companies like Uber and Airbnb skyrocket. There is gold in your data. And data-driven companies are the most successful exponential organizations around. In 2015, data collection and mining that data will become more turn-key. Platforms like Experfy, for example, allow you to find data scientists who will develop algorithms or machine learning solutions for your business/project. Larger companies can explore partnering with IBM’s Watson Ecosystem, which is creating a community of everyone from developers to content providers to collaborate and create the next generation of cognitive apps. Companies built around algorithms, like Enlitic (a company that uses machine learning to detect tumors and make medical imaging diagnostics faster and cheaper), will become much more prevalent and common in 2015. 7. Large-scale genome sequencing and data mining: We are at the knee of the curve of human genome sequencing. In 2015, we will see explosive, exponential growth in genomics and longevity research. As the cost of sequencing a single human genome plummets by orders of magnitude (now around $1,000) and the amount of useful information we glean from mining all that data skyrockets. At Human Longevity, Inc. (HLI), a company I co-founded, we are aiming to sequence 1 million to 5 million full human genomes, microbiomes, metabalomes, proteomes, MRI scans, and more by 2020. We’re proud to have Franz Och, formerly the head of Google Translate, as the head of our machine learning team to mine the massive amount of data so that we can learn the secrets to extending the healthy human lifespan by 30-40 years. Sensors are enabling “smart” infrastructure, wearables, even cutting-edge medical diagnostics. 8. 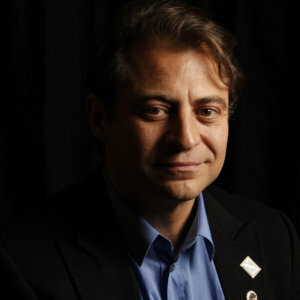 Sensor explosion: In 2015, expect “everything” to be “smart.” The combination of sensors and wearables, increased connectivity, new manufacturing methods (like 3D printing), and improved data mining capabilities will create a smart, connected world—where our objects, clothes, appliances, homes, streets, cars, etc., etc. will be constantly communicating with one and other. Soon, there will be trillions of sensors throughout the world. These sensors won’t just power smart ovens and sweatshirts—the same technology will allow companies like Miroculus to create a “microRNA detection platform that will constantly diagnose and monitor diseases at the molecular level.” Sensors are going to be taking over CES this year. 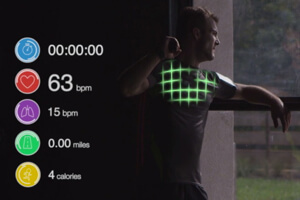 Among the many applications: a shirt that can read your heart-rate by Cityzen Sciences, a device from HealBe that can automatically log how many calories you consume, a garden sprinkler system from Blossom that can decide when to switch on based on weather forecasts, pads for the pantry from SmartQSine that allow you to keep track of how much of your favorite foods are left, a pacifier from Pacifi that sends the baby’s temperature to the parent’s smartphone, and a new home security system from Myfox with tags you can attach to a door or window that trigger alarms before a break-in is attempted. Voice-control systems continue to improve. 9. Voice-control and “language-independent” interaction: Using our fingers to operate smartphones/technology was “so 2014.” In 2015, we will see significant advances in voice-controlled systems and wider mass market adoption. Think the first steps towards a Jarvis-like interface. Siri, Google Now, Cortana, and other voice-control systems are continuing to get better and better—so much so that they are being almost seamlessly integrated into our technology, across platforms. Soon, almost all connected devices will have voice-control capabilities. Companies like Wit.ai are creating their own open-source natural language interfaces for the Internet of Things and for developers to incorporate into their apps, hardware, and platforms. Jarvis-like systems like the Ubi and Jibo, plus IBM’s Watson and XBOX One Kinect, already allow natural language interactions and question/answer like commands. Then, Google Translate, Skype Translate, and others are creating software that allows real-time translation between languages, further eliminating cultural and geographic barriers—the Star Trek universal translator is just around the corner! 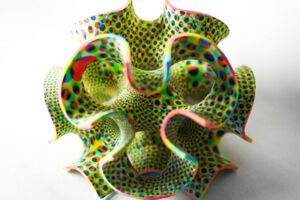 3D Systems is 3D printing beautiful designs in sugar and other edible materials. 10. 3D printing: 3-D printing will continue to grow rapidly in 2015 as the number of applications increase and as printers, scanners, and CAD modeling software become more accessible, cheaper, and easier to use. 2014 saw the first 3D printed object in space, by SU company, Made In Space. 3D Systems continues to innovate around the clock and is releasing a plethora of exciting things in 2015, including 3D printed food and customized chocolates. Three years ago there were just two 3D printing firms at CES. This year there promises to be more than 24. 11. Bitcoin: While 2014 was a rough year for bitcoin (it was ranked the “worst performing currency”), I am optimistic that 2015 will be a better year for the cryptocurrency. Weak currencies and uncertainty in the global economy, emerging smartphone markets in developing countries (billions coming online for the first time), better “interfaces,” and more commercial adopters who accept bitcoin as a form of payment will all play a role in a brighter bitcoin future. Finally, it’s worth noting that Apple Pay will ultimately teach an entire generation how to navigate life without cash…making the transition to bitcoin natural and easy.